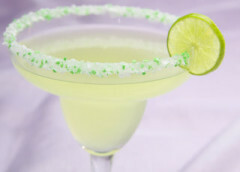 Rim glass with Margaritaville Sweet and Salty Lime Margarita Salt. Fill shaker with ice cubes. Add all ingredients. Shake and strain into glass. Enjoy!